I left working feeling very ill. I had hope some friends from work would pose for me, but they “forgot”. I am not a natural street photographer of people. My background is all portraiture, but that’s different. It’s open and transparent; the purchase of skills, talent and product for money. Taking picture of people while they’re eating burgers or going about there business is not. It arouses suspicion. I was stopped by the police yesterday and asked “why” I was taking pictures. And there is always an element of furtive perviness or possible confrontation. I got lucky today. 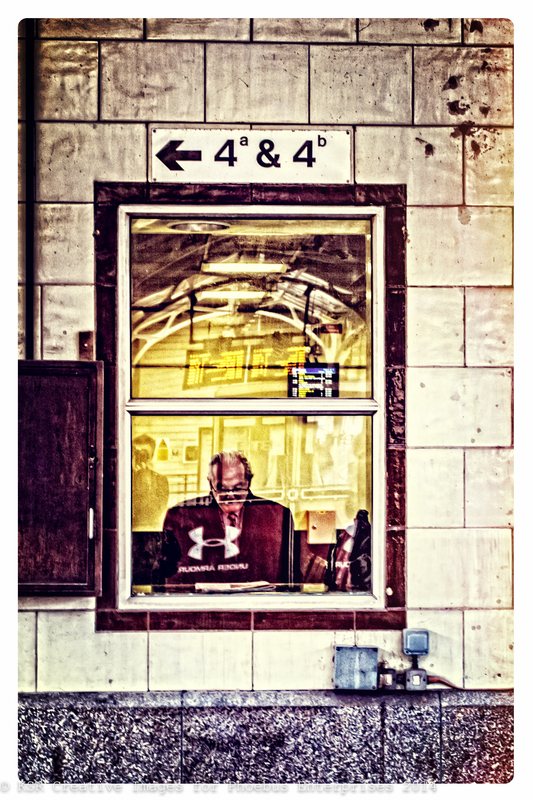 I wandered back to the station feeling all ill and sweaty with no pictures to speak of, I saw this gent reading, through the amazing protectiveness of GLASS. Also he was occupied. 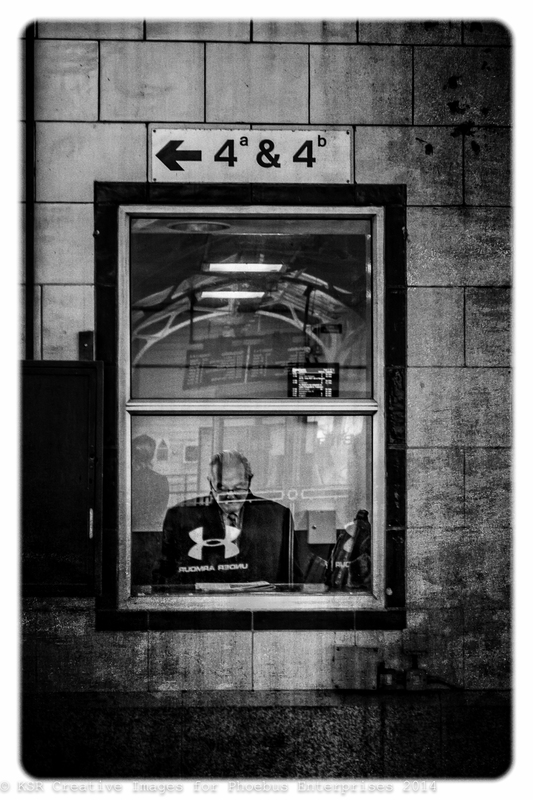 I’ve submitted 2 version, both quite heavily manipulated. The color images was a preset I’d forgotten about and activated almost by accident. I like them both, I hope you do too.